Aon has partnered with Leeds University Business School (LUBS) to research decision making by pension scheme trustees. 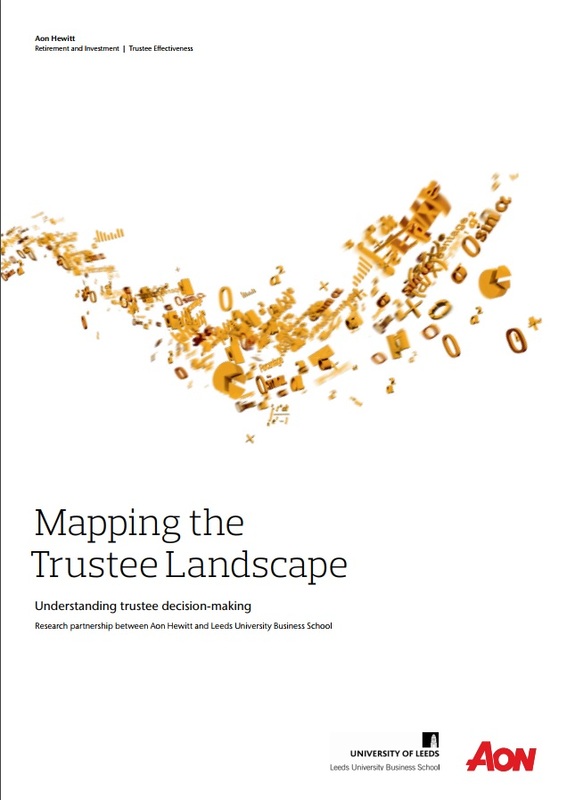 'Mapping the Trustee Landscape’ is the first of three reports based on the research findings. It sheds light on aspects of trustee governance including financial literacy, attitudes to risk and social-demographics - all of which can influence investment decision making. A total of 197 mainly defined benefit (DB) trustees and scheme managers in the UK took part in the research. We found that this group is highly educated and financially literate. 93% of the respondents correctly answered at least four out of five questions about key financial concepts. We also asked respondents about their perceptions and understanding of costs and value, investment risk and return, manager selection and the role of bias. The project is the first piece of major research to fully explore trustee decision making. It builds on work Aon completed in 2016 with Behave London, which led to The Aon Trustee Checklist, a practical tool designed to reduce decision-making bias in trustee meetings. The first report on our research findings examines a range of different aspects of trustee governance including financial literacy, and attitudes to risk and social-demographics - all of which can influence trustees' investment decision-making.